At least 79 teacher assistants and instructors at the University of North Carolina-Chapel Hill are threatening to withhold grades unless their demands in the Silent Sam controversy are met, local activists say. A proposal by the university’s Board of Trustees to rehouse Silent Sam in a $5.3 million historical center has been met with protests from students and community activists, but a proposed strike crosses a line, UNC System Board of Governors member Marty Kotis told Carolina Journal. 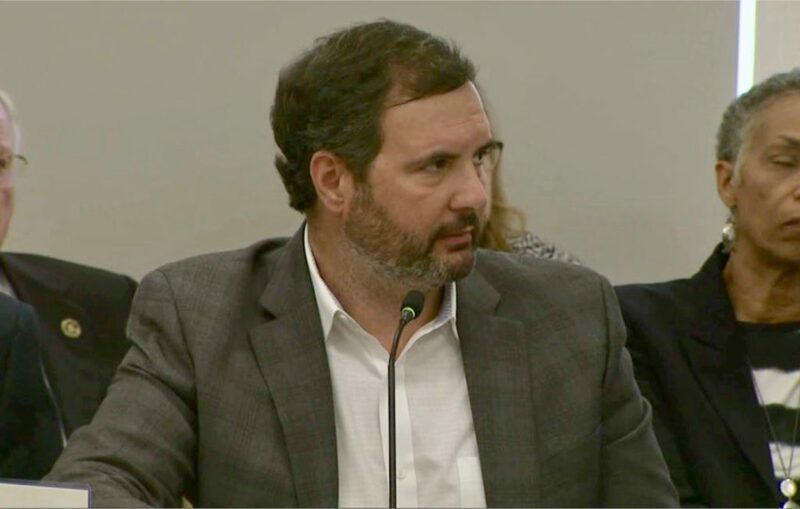 “When people start saying you have to believe something or we’re not going to release your grades unless this is done, they’re putting their personal agendas ahead of the students,” Kotis said. Kotis has called for swift action against potential strikers, including their dismissal if they indeed withhold grades. The Board of Trustees met Monday, Dec. 3, to approve a plan to move the Confederate statue to a historical center to be built on Odum Village, where apartments for graduate students and students with children once stood. The apartments have since been demolished and the property is empty. Now, the school wants to build a a center for history and education to house not only Silent Sam but other artifacts related to the school’s long history. The center would cost $5.3 million to build, have an annual operating cost of $800,000, and feature a state-of-the-art security system. Reactions to the proposal were swift. Activists and protesters called the proposed center a “shrine” to the Confederacy. Others argued the university should return the statue to McCorkle Place, where it once stood before protestors tore it down Aug. 19. It was then placed in storage. UNC BOG member Thom Goolsby released a video Dec. 4 calling for the statue’s return to its pedestal. The board member called the BOT’s plan cowardly. Protesters gathered that night in opposition. Soon after, activists announced a group of teacher assistants and faculty members have joined a grade strike and promised to withhold more than 2,000 grades unless their demands are met. The Board of Trustees should withdraw the proposal to build a $5.3 million indoor location to house Silent Sam and to create a 40-person mobile force costing at least $2 million per year. Instead, the statue should remain off campus and the BOG should hold listening sessions in good faith with the community. Silent Sam should never return to the campus in any form nor shall a center to its history be built. The BOT should disclose the changes made to campus policing and withdraw the proposed security escalations. Instead of spending money on rehousing Silent Sam and funding a mobile police force, the university should direct money to building maintenance, increased wages for graduate and campus workers, abolition of fees for all graduate workers, dental insurance for graduate workers, and reduced parking fees for all workers. If the first demand is met, the participating TAs and instructors would release the grades to the university. Unless all demands are met, the group will continue to protest during the next semester. Robert Blouin, UNC-Chapel Hill executive vice chancellor and provost, sent a letter to the deans of the school Dec. 6 saying the proposed grade strike is out of bounds and violates the university’s instructional responsibilities. In the letter, Blouin said he has heard complaints that some instructors have asked their students to take a stand on the strike. “Such actions have been interpreted as coercion and an exploitation of the teacher-student relationship and in fact are a violation of students’ First Amendment rights as well as federal law,” Blouin wrote. Kotis said the university should fire anyone participating in the grade strike. Not only that, he said they should be ineligible for rehire anywhere in the UNC System. “When you let an 80 people decide how the flagship university in the system or the entire system is run, that’s not democracy. That is extortion. That is terrorism,” Kotis said. While Kotis believes people are free to protest peacefully, he contends the actions of some protesters and outside agitators have necessitated a strong response. The UNC BOG will discuss the BOT’s proposal at the Dec. 14 meeting.